9. You’ve had so much fun at previous Hootenannies at Cherokee Farms that your friends want to come now, so you willingly and happily lead the way. 8. Cherokee Farms is like your own state park. We strive to keep it pristine! 7. The bonfire jams late night are as fun as the ones on stage all evening FRI and all day SAT! 6. You experience an incredible display of musicians in various collaborations that are created within the sets. 5. TDawg’s Back Porch Hootenanny is a great place to introduce your kids to family camping, enjoying the outdoors, and its association with music and great people! 4. You will ALWAYS leave TDawg’s Back Porch Hootenanny having heard something new & fresh! 2. You get to scream the HOOOOOOOOOOOOTENANNY Battlecry in the midnight hour and mean it! 1. 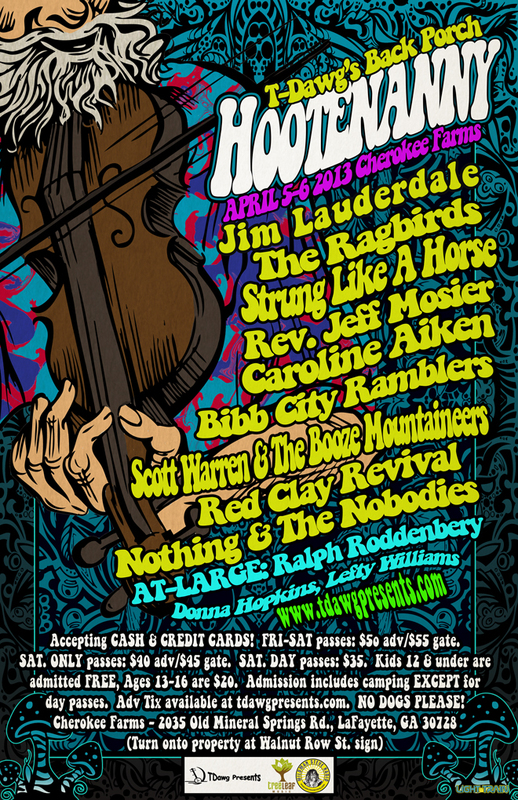 You can feel GREAT about supporting the BEST LIL’ FESTIE in the Southeast! 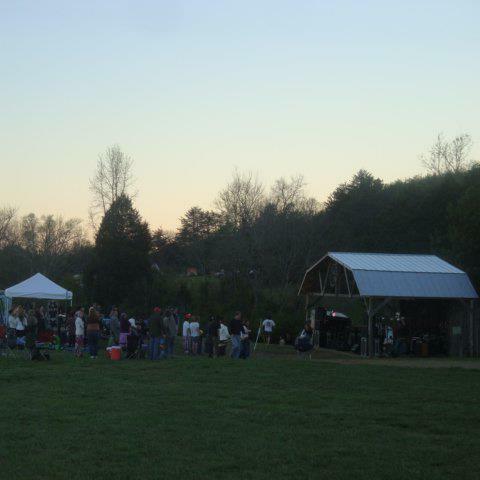 The bands get to showcase and make new friendships along the way; the musicians become the audience once they’re done, prepping themselves for the late night jams to come; and YOU are rewarded by being there, witness to the magic of TDawg’s Back Porch Hootenanny at the beautiful and spiritual Cherokee Farms! Please pass this post along! We’re going to have a blast at Cherokee Farms next weekend!